After reportedly telling the University of Texas that he would be willing to accept their head coaching position, Nick Saban received a new contract at the University of Alabama that raised his salary to $US6.9 million as the highest-paid coach in college football. 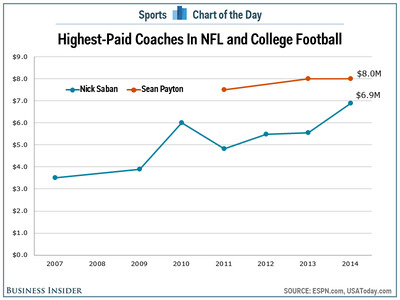 Curiously, this brings Saban’s salary much closer to the pay of the top coaches in the NFL, where Sean Payton makes $US8 million as the highest-paid pro football coach. It used to be that the top coaches often had to weigh the higher salaries of the NFL against the chance for better job security in the college ranks. However, that line has become blurry as college salaries rise and security falls. In addition to his salary, Saban also has bonuses built in to his contract (up to $US700,000 under his previous contract) and he even recently had his mortgage paid off by Alabama boosters. 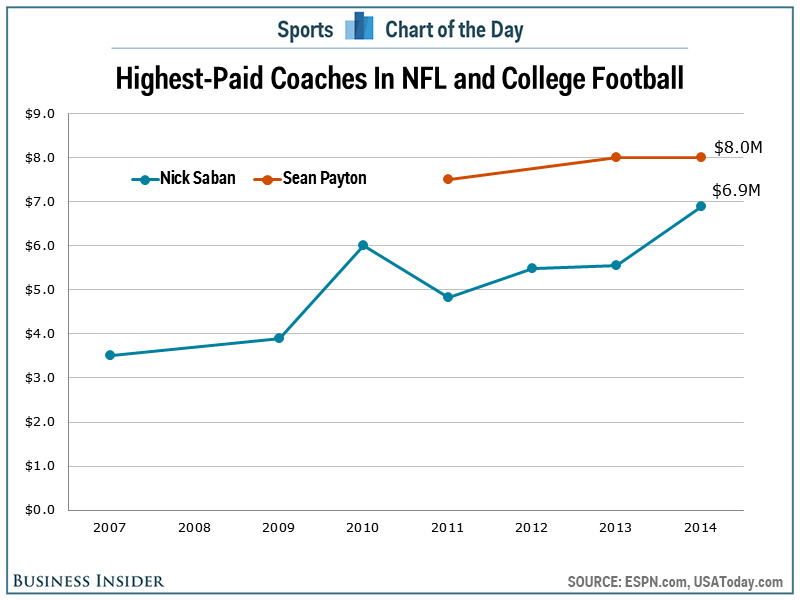 Those likely boost the total value of Saban’s position close to or even past that of Payton.